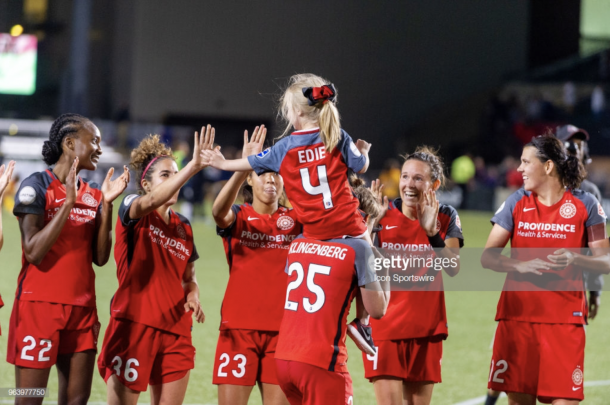 Portland Thorns v. Sky Blue Preview: Will the Thorns jump to 3rd? Sky Blue will face off with the Portland Thorns at home this Saturday. 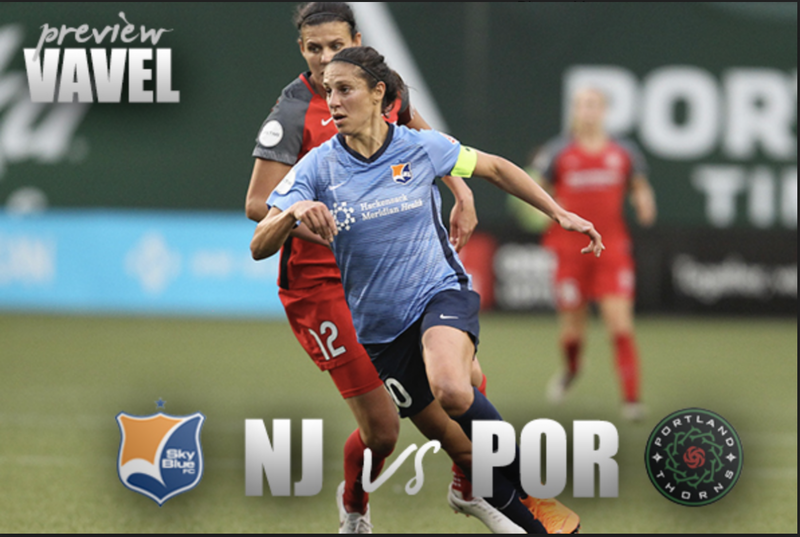 The Portland Thorns will head to New Jersey to play against the Sky Blue this weekend. Sky Blue FC has had an extremely difficult season thus far, as they have yet to win a game. Although they have managed to tie three games, the Sky Blue has suffered a staggering 12 losses. Sky Blue has no shortage of talented players, some of which include midfielder Carli Lloyd and forwards Savannah McCaskill and Imani Dorsey. Nevertheless, Sky Blue still struggles to work in conjunction as a team. Sky Blue dominates in possession while on the field, but ultimately fails to follow through with their opportunities. The team has never quite been able to sink into a “groove” of consistent opportunities and field performance. The team is still trying to establish their style of play and has been significantly slower to develop than other teams. As a result, they have fallen behind in their level of play, something that is easily distinguished by their current last-place ranking in the NWSL. However, the Sky Blue’s misfortune may not be limited to the field; a recent comment made by Chicago Red Stars forward, Sam Kerr, shone a light on the inequities and difficult conditions the Sky Blue players face behind the scenes. Some of these problems include stressful travel conditions, scarce locker room and training facilities, and severe housing dilemmas. Undoubtedly, the trying conditions behind the scenes have affected the players' ability to practice efficiently and focus on the field. On the other hand, the Portland Thorns have flourished as a team throughout the season. The Thorns are currently ranked 5th in the NWSL after winning their last game against the Houston Dash. Forward Tobin Heath recently returned from injury, while Midge Purce will most likely still be out with an ankle injury. The Thorns will come onto the field with determination, considering a win could potentially place them in 3rd place and ahead of the Orlando Pride and Chicago Red Stars. The Thorns and Sky Blue played each other previously in week 14, ultimately tying 1-1. During their last run-in with the Thorns, the Sky Blue played fairly well and managed to keep up throughout the majority of the game. The Thorns, who normally capitalize on all scoring opportunities, had a difficult game apart from Lindsey Horan's goal in the 45th minute. Nevertheless, the Thorns have had a successful run of games recently and will most likely dominate over the Sky Blue. The Sky Blue will need to improve their shots on goal if they hope to compete with the skill and athleticism present on the Portland Thorns front line. Tune in on Saturday at 7 pm ET on the Go90 app or at NWSL.com to watch these teams fight for their position.